The OnePlus 5T impresses with a larger screen and better camera, at the same price. Once again OnePlus proves you don't need to spend over £500 on a smartphone. Just five months after the brilliant OnePlus 5, the plucky Chinese startup has released the OnePlus 5T, an updated handset with a larger screen and better camera. Perhaps what's most impressive is that the 5T is priced identically to the 5, with a starting price of only £449 ($499 USD). It's hard to believe that OnePlus has only existed for four years, morphing from a small company where you needed an invitation to buy its phone into a major player in the Android market with adverts on the London Underground and Emily Ratajkowski as a brand ambassador. 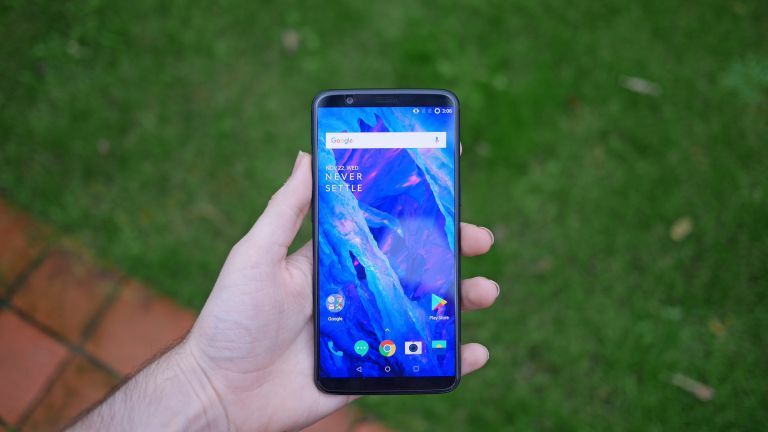 OnePlus originally labeled itself the 'flagship killer', defined by premium specs at mid-range prices, but that has changed with the OnePlus 5T, because with prices starting at £449, and ranging up to £499, this is an Android flagship thoroughbred. Obviously, though, it's still far more affordable than the likes of the Google Pixel 2 and Samsung Galaxy S8. But those are OnePlus' main rivals now. It's good news, then, that OnePlus has stepped up its game, because the OnePlus 5T is the brand's best smartphone to date. It's unusual for a smartphone company to release updates so close together, but it's a familiar schedule we're seeing from OnePlus now. 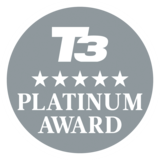 The OnePlus 3T was released three months after the 3, and made use of the latest chipset from Qualcomm in an identical body. The OnePlus 5T is the reverse approach, remaining essentially identical inside, while upgrading the design. The biggest difference you'll notice with the 5T is the new 6-inch edge-to-edge display (up from 5.5-inches). It's a smart move, as large bezeled smartphones are looking increasingly dated. If OnePlus waiting until next June to adopt the technology it would have been left in the dust. To make space for the larger screen, the fingerprint sensor has moved to the back, underneath the dual camera system which has also been updated (for improved low light performance). Elsewhere very little else has changed, including the price, which stays at £449/£499. Just like the buying process, the design of the OnePlus 5T is now more refined. Just like the 5, the 5T is rounded and smoother than its predecessors. It's a genuinely premium design, that's hard not to be impressed by. It comes in one colour, and one colour only - black. It's comfortable to hold as well despite being on the large side, it's pleasingly thin at 7.25mm, and the rear aluminium casing has a reassuringly grippy texture. In fact, if you prioritise thinness over anything else, the OnePlus 5T is for you. While it isn't the thinnest overall, the tapered edges make it feel even thinner than 7.25mm. Our main complaint with the OnePlus 5 was that you don't get the same brilliant ergonomics that you do with the near-bezeless Galaxy S8 or LG G6, and it didn't look as visually striking, either. Well, now the 5T matches all of those bezel-less devices, and is all the better for it. The OnePlus 5T is pretty much the same size at the OnePlus 5, but now features a 6-inch AMOLED display. OnePlus has stuck with a Full HD resolution (1080 x 2160) rather than moving up to Quad HD to match its rivals. While on paper that doesn't stack up to the likes of Samsung and LG, the real world difference is minimal. In fact, the OnePlus 5T's screen is amazing, mainly thanks to the AMOLED technology. It's bright and punchy – we prefer it to the Google Pixel 2 XL's QHD display. To make the most of the large screen, OnePlus has added a small software mod which hides the Android navigation bar, allowing the app to stretch across the entire screen. When you need the navigation bar, simply swipe up from the bottom. And, to make room for the large screen, OnePlus has moved the fingerprint sensor to the rear of the device. It has the same lightning fast accuracy, but is now circular and covered in matt black ceramic. It fits in very well. To add convenience, OnePlus has also added Face Unlock. This system simply uses the camera, and is therefore not as advanced or accurate as Apple's system in the iPhone X, but it does a decent job most of the time. It's nice to have options. Another area that has received a big upgrade is the camera. The OnePlus 5T includes a impressive dual sensor set up, with a 16MP f/1.7 lens and a 20MP f/1.7 lens for better low light shots. Unlike its predecessor, which had one wide and one telephoto lens, both on the T have the same 27.22mm focal length. The 5T will automatically switch to the low light sensor when lighting drops below 10 lux, implementing OnePlus' Intelligent Pixel Technology to merge four pixels into one. Oneplus claims this improves clarity and reduces noise and blurring. It's a big improvement over the previous model, but it's still not quite as impressive as the Google Pixel 2. OnePlus 5T features the same brilliant camera app, with a simple look and easy-to-use gesture controls. Swiping up gives you mode select, while swiping down (in Pro mode) brings up quick settings. It makes things much easier to do one-handed. Just like the OnePlus 5, the thing that really hits you when using this phone is just how insanely fast it is. Everything from taking a picture, to navigating Oxygen OS, to multitasking is near instant. This is partially thanks to the Snapdragon 835 chip and 8GB RAM, but it's also down to the UI, which has next to no pointless animations. It's very impressive. Elsewhere in the specs department you have the choice of 64GB or 128GB storage, and 3,300mAh battery, which easily lasts a day of heavy use. When the battery does die, providing you're using the bundled Dash Charge plug, you'll be able to replenish almost a days power in half an hour. With the updated screen and camera, it certainly puts a cat among the Android flagship pigeons. At this price, it's tough to beat.